We are doing a benefit show (21+) at Hells Kitchen in tacoma on Friday Feb 2 and an all-ages show at Chop Suey on March 28 with TheSTART. Check out the shows page for more details! You can see photos and video of our recent show in Spokane along with phtos and video of Justin & Ty performing with Marky Ramone HERE! First off we want to thank all out fans for coming out to rock with us at El Corazon on Thursday and Hells Kitchen on Friday. The shows went great and it was awesome to see all our friends and fans! We will be hosting the KISW "Loud & Local" show at 11:00 PM this evening. We will be playing unreleased Jet City Fix songs, talking a bit, spinning some music by some of our favorite local bands and we might even bust out an acoustic song or 2 live in the studio - you won't know unless you tune in! We're back and we're excited. Thanks again for all your support. 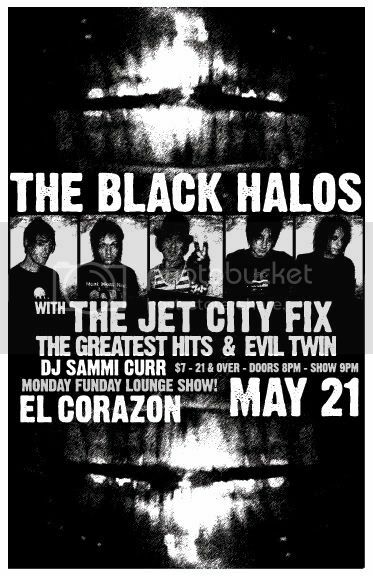 Keep checking www.thejetcityfix.com for news of more upcoming show dates and other band information. 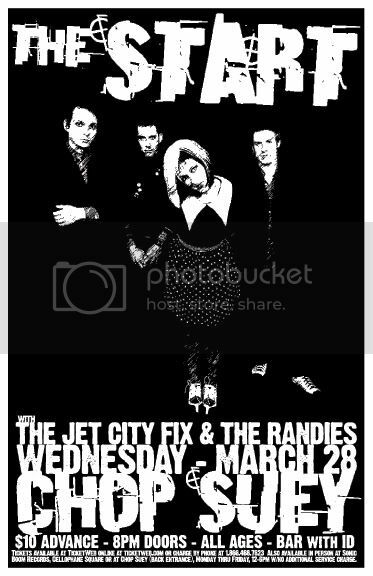 THE JET CITY FIX WILL BE PLAYING THREE SHOWS IN FEBRUARY !!!!! Tickets available at all TICKETSWEST outlets including Rudy's barbershops and select QFC stores. Charge by phone: (Seattle 632-TIXX, all other areas 1-800-325-SEAT), or online at www.ticketswest.com . Tickets are subject to a service charge. You can also buy advance tickets from the band and avoid the service charges - please email info@thejetcityfix.com to do so. WE HOPE TO SEE ALL OUR FRIENDS AND FANS !! !